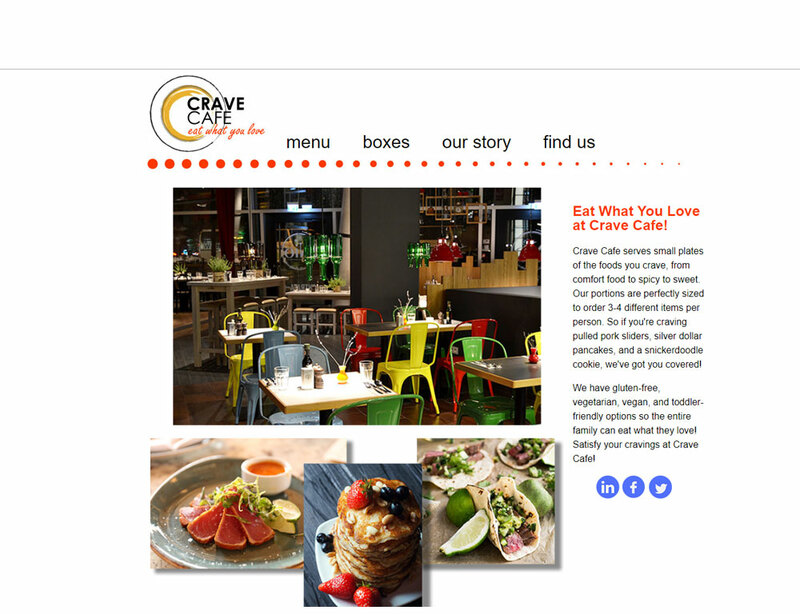 This website was created in Adobe Dreamweaver. 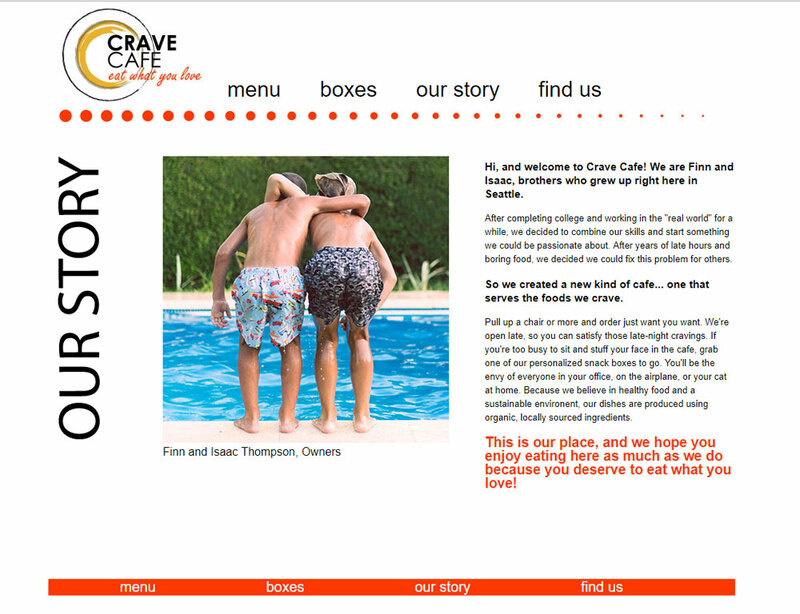 Crave Cafe is a fictional restaurant that serves small plates of the most craveable foods. 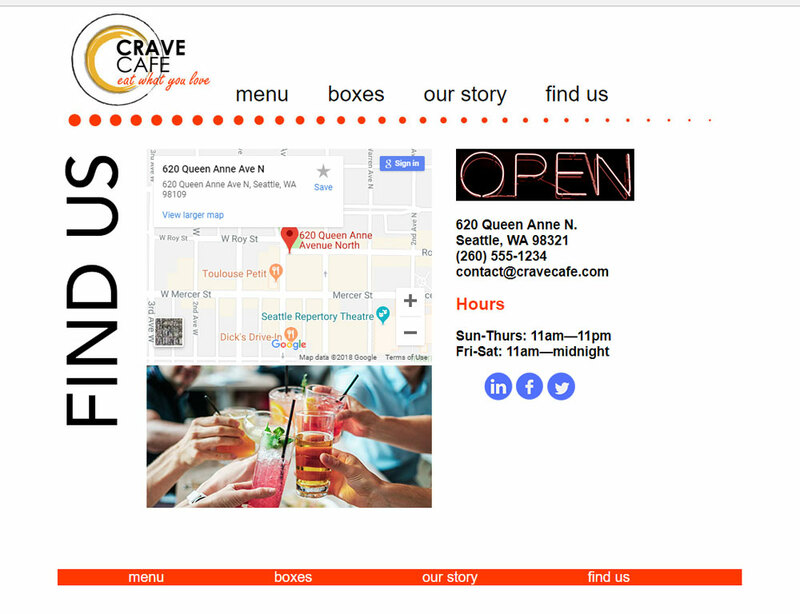 The atmosphere is casual and fun, and the target demographic is middle to upper class millenials living in Seattle. 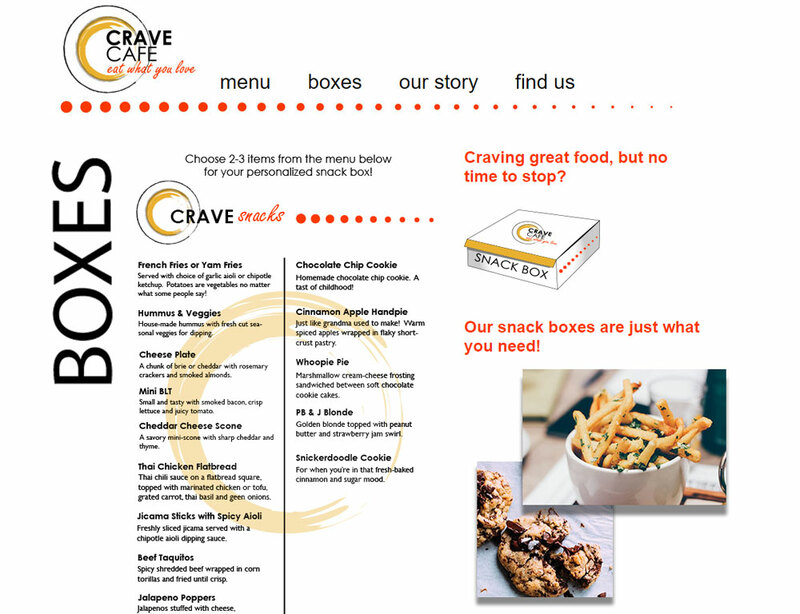 I designed the concept for the restaurant, the logo, the menu, and all information you see on the site. 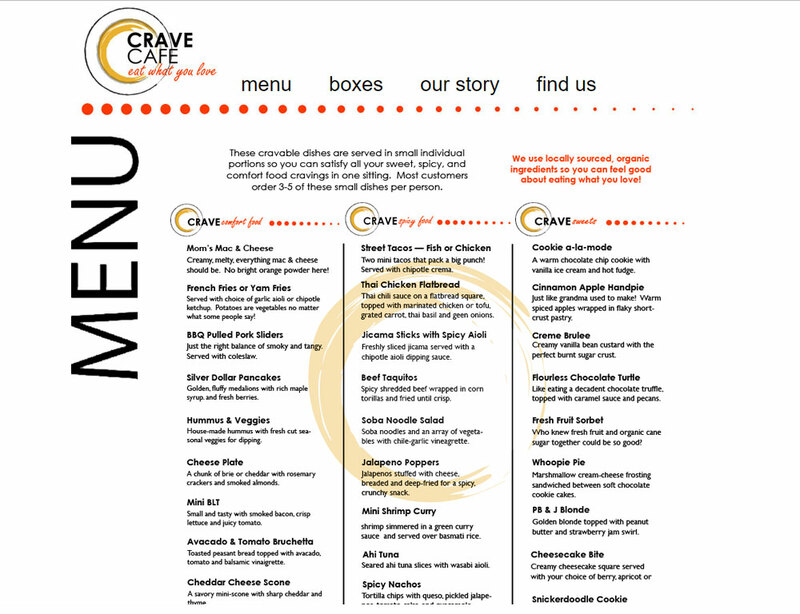 The logo design features a plate with a shadow of a "C" for Crave Cafe. I chose a contemporary sans-serif font, and added a neon-sign tagline, "eat what you love," to emphasize the diner aspect. This is a place where I'd like to eat!